Forget about today’s modest incremental advances in artificial intelligence, such as the increasing abilities of cars to drive themselves. Waiting in the wings might be a groundbreaking development: a machine that is aware of itself and its surroundings, and that could take in and process massive amounts of data in real time. It could be sent on dangerous missions, into space or combat. In addition to driving people around, it might be able to cook, clean, do laundry—and even keep humans company when other people aren’t nearby. 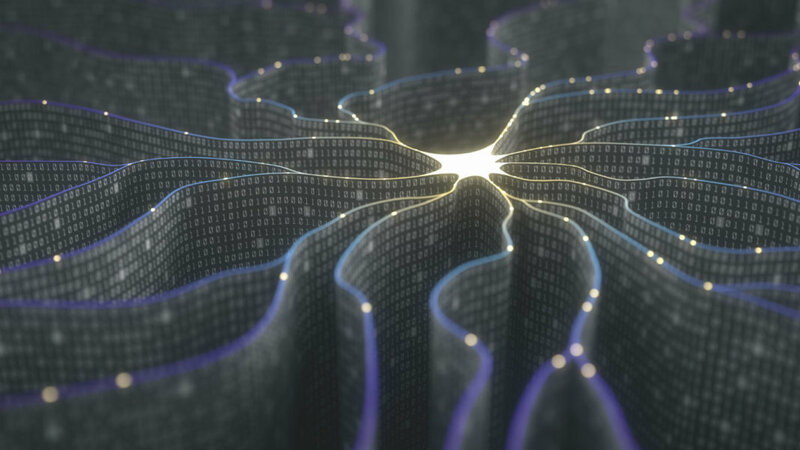 Most computer scientists think that consciousness is a characteristic that will emerge as technology develops. Some believe that consciousness involves accepting new information, storing and retrieving old information and cognitive processing of it all into perceptions and actions. If that’s right, then one day machines will indeed be the ultimate consciousness. They’ll be able to gather more information than a human, store more than many libraries, access vast databases in milliseconds and compute all of it into decisions more complex, and yet more logical, than any person ever could. On the other hand, there are physicists and philosophers who say there’s something more about human behavior that cannot be computed by a machine. Creativity, for example, and the sense of freedom people possess don’t appear to come from logic or calculations. Another viewpoint on consciousness comes from quantum theory, which is the deepest theory of physics. According to the orthodox Copenhagen Interpretation, consciousness and the physical world are complementary aspects of the same reality. When a person observes, or experiments on, some aspect of the physical world, that person’s conscious interaction causes discernible change. Since it takes consciousness as a given and no attempt is made to derive it from physics, the Copenhagen Interpretation may be called the “big-C” view of consciousness, where it is a thing that exists by itself—although it requires brains to become real. This view was popular with the pioneers of quantum theory such as Niels Bohr, Werner Heisenberg and Erwin Schrödinger. The interaction between consciousness and matter leads to paradoxes that remain unresolved after 80 years of debate. A well-known example of this is the paradox of Schrödinger’s cat, in which a cat is placed in a situation that results in it being equally likely to survive or die—and the act of observation itself is what makes the outcome certain. The opposing view is that consciousness emerges from biology, just as biology itself emerges from chemistry which, in turn, emerges from physics. We call this less expansive concept of consciousness “little-C.” It agrees with the neuroscientists’ view that the processes of the mind are identical to states and processes of the brain. It also agrees with a more recent interpretation of quantum theory motivated by an attempt to rid it of paradoxes, the Many Worlds Interpretation, in which observers are a part of the mathematics of physics. Philosophers of science believe that these modern quantum physics views of consciousness have parallels in ancient philosophy. Big-C is like the theory of mind in Vedanta—in which consciousness is the fundamental basis of reality, on par with the physical universe. Scientists are also exploring whether consciousness is always a computational process. Some scholars have argued that the creative moment is not at the end of a deliberate computation. For instance, dreams or visions are supposed to have inspired Elias Howe‘s 1845 design of the modern sewing machine, and August Kekulé’s discovery of the structure of benzene in 1862. The concept of big-C consciousness raises the questions of how it is related to matter, and how matter and mind mutually influence each other. Consciousness alone cannot make physical changes to the world, but perhaps it can change the probabilities in the evolution of quantum processes. The act of observation can freeze and even influence atoms’ movements, as Cornell physicists proved in 2015. This may very well be an explanation of how matter and mind interact. It is possible that the phenomenon of consciousness requires a self-organizing system, like the brain’s physical structure. If so, then current machines will come up short. Scholars don’t know if adaptive self-organizing machines can be designed to be as sophisticated as the human brain; we lack a mathematical theory of computation for systems like that. Perhaps it’s true that only biological machines can be sufficiently creative and flexible. But then that suggests people should—or soon will—start working on engineering new biological structures that are, or could become, conscious. I work in AI, neural networks, cybersecurity, archaeoastronomy, and history of science. 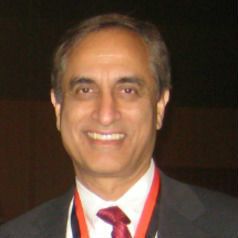 Subhash Kak is a Regents Professor of Electrical and Computer Engineering, Oklahoma State University.